Out with the bread bin, in with the freezer? There is a widely-held belief – in the baking industry, and in people’s kitchens – that freezing bread is somehow second-best. Yes, it is always mentioned on-pack, but when shoving a loaf into the freezer – and especially when retrieving it – there’s often a pang of guilt. Fresh bread is best, right? Not necessarily. In fact, aside from the obvious benefits for waste, freezing could also confer benefits in taste, fibre, glucose levels and overall nutritional impact. Even flavour. 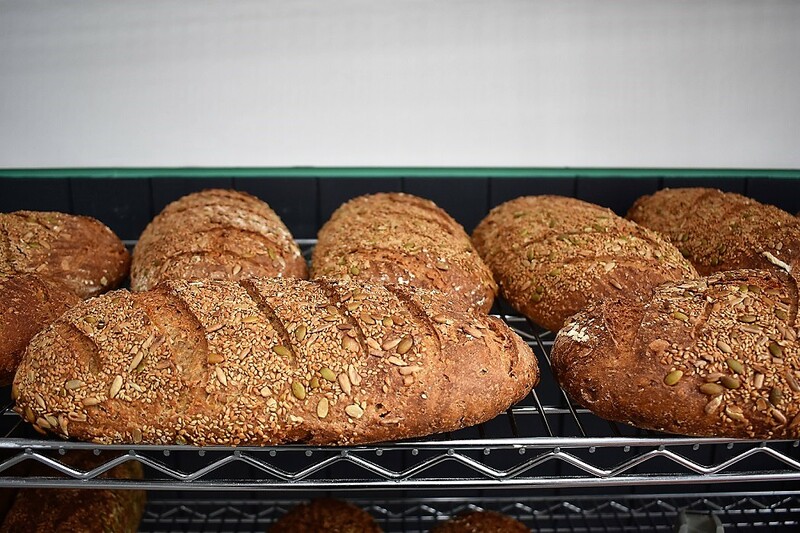 At Modern Baker we’ve long had a hunch about this – so we applied for (and have subsequently won) a grant from Innovate UK to explore whether freezing bread can make it healthier. We’ve always challenged the prevailing consumer and press misconception that bread these days has to be more guilty pleasure than staff of life. Yes, ultra-processed bread with 18+ ingredients is certainly bad for you, but real bread (i.e. minimally processed and containing minimal, high quality ingredients, made with enough time) is actively good for you. And we believe we can make it even healthier by freezing it. The traditional argument for freezing concerns waste. No one reading this needs reminding of bread’s shocking record as the UK’s single most thrown-away food, with up to 40% going un-eaten. The ‘Make Toast Not Waste’ campaign launched earlier this year by Love Food Hate Waste reported that 24 million slices of bread are thrown away in the UK every day thanks to best-before dates. But that’s only one side of the story. It’s easy to see why an attitude of ‘fresh is best’ suits the industry, just as unused memberships suit gyms. And the supply chain complexities of short-shelf-life products are such that the mass producers don’t want to contemplate anything that might promote disrupting consumer buying patterns, preferring to preserve the status quo. Mass-market bread is now so cheap and unprofitable that unless someone strikes out for a new frontier, we’re all stuck where we are. This £100k funded project, in conjunction with Campden BRI, does just that. It will evaluate the effect of different freezing processes on the starches in our long-fermented product range, and the effect that has on blood glucose response, fibre levels and nutrition – all key digestion triggers in the NHS’ £10b diet-related chronic illness epidemic. Aside from our initial research suggesting freezing can add further healthy dimensions to our already healthy bread and cakes and actively improve flavour, there are the obvious supply chain and wastage advantages too. Being able to supply frozen, healthy bread to the food service industry would represent a major change, and what’s to stop consumers being able to buy sliced bread straight from the supermarket freezer too? We’re really excited to see the results of this project and believe it could be a real game changer for the industry. All four of our live Innovate UK funding awards are working towards a common goal of improving the quality of dietary carbohydrates. We hope we can have a real impact on the public health agenda. You can read more about our grant funding via The Grocer and British Baker.